Remember I wrote a while back about my semi-futile attempts to learn Japanese? 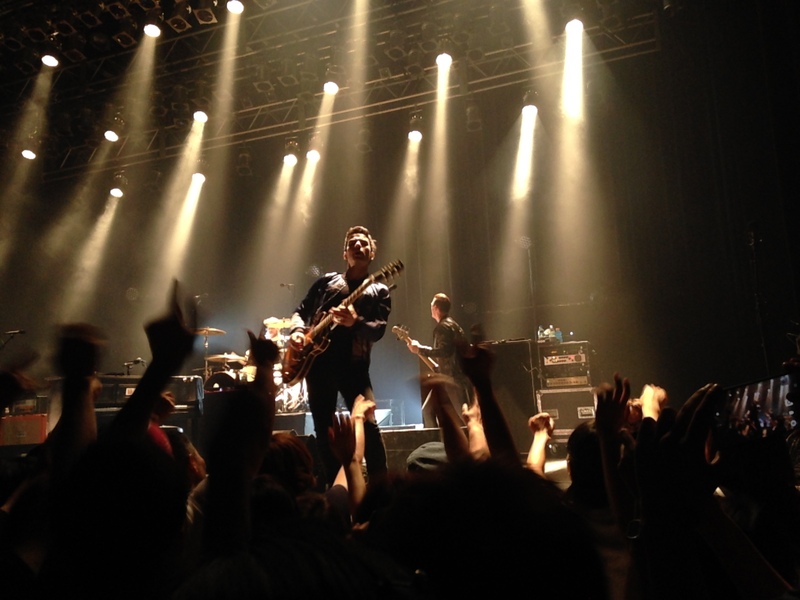 What would you say if I told you that a few months ago I entered a presale lottery on the ePlus website entirely in Japanese and, as a result, got tickets to see Stereophonics in a venue that holds approximately 1000 people? Thank the lord for Google sensei! Another wonderful thing is festival season in Japan. With this year’s Summer Sonic lineup not taking my fancy (to put it mildly) and me not getting my arse into gear for Fuji Rock, I’ve been forced to scour the ticket websites for bands doing the odd date here before and after the festivals. Some times – like in the case of the ‘Phonics – it works out quite well. In others (I’m looking at you, Red Not Chili Peppers), it can be a crushing disappointment. Anyway, fast forward to the end of July. With my ticket in hand and a few pre-gig pints in me I headed to Shibuya’s O-East venue where I’d seen The Charlatans a few months prior. It’s a funny thing, this gig-going lark in Japan. Back in England, if a gig ticket says the gig starts at 7.30pm, it’s usually safe to assume the support band will be kicking things off at this time before the main band take to the stage for around 9pm. As it happened, this was the case for The Charlatans and Vintage Trouble when they played in Tokyo too. One could be forgiven for thinking it’s an international rule, right? Just a few months ago, I went to see Tame Impala at Zepp Tokyo in Odaiba. With the advertised start time of 7.30pm in mind, I grabbed some food and headed to the venue for 8.15pm only to hear Tame Impala themselves powering through their set without a support act in sight. In the end I think I caught about seven songs. Thankfully, I saw a full set this time! With that particular memory still fairly fresh, I made sure I was at O-East in good time to buy my compulsory drink (seriously) and squeeze my way closer to the stage. Judging by the size of the crowd just a few minutes before the advertised start time, it was clear there would be no support tonight and after about a 10 minute wait the band took to the stage and went straight into a double whammy of C’est La Vie and I Wanna Get Lost With You from 2015’s Keep The Village Alive album. It was a career-spanning set with every album from the debut Word Gets Around right up to the aforementioned release from last year represented in some way, shape or form with the exceptions of the late noughties duo of Pull the Pin and Keep Calm and Carry On. On the strength of the set though it’s hard to see which tracks from two of the band’s weaker albums would have fit in. For example, can you imagine Beer Bottle replacing this? It would be easy to name classics such as A Thousand Trees, Local Boy in the Photograph or the standard set closer Dakota as highlights of the night, so I’ll go with a few select observations instead. Firstly, the new tracks really slotted in well. It’s common for a band to cram their sets full with new tracks at the expense of old fan favourites and to an extent that’s fair enough; they’re the ones that need promoting. Of the 20 song set however, only five came from KTVA and none felt out of place. Jamie Morrison’s drum solo at the end of Mr and Mrs Smith was worth the entrance fee alone. 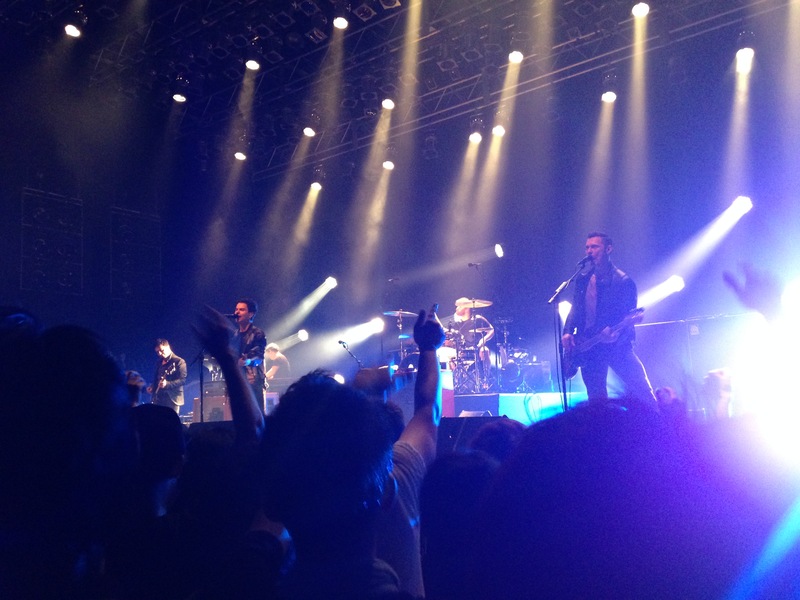 Secondly, a certain three song combo in the middle of the set was just absolutely perfect. The haunting darkness of Superman, followed by the flat out rock of Vegas Two Times (which has the best drum intro in rock, fact) and then being brought back down to earth while Kelly Jones slags off a bunch of reviewers and journalists in Mr Writer – too good for words. Kelly Jones owning the stage during my personal highlight from the last album, ‘Sunny’. Finally, as it’s been a good few years since I saw them last, it was nice to hear a few tracks from 2013’s Graffiti on the Train album. The title track is a stunner on record and didn’t disappoint live, but the real surprise here was Violins and Tambourines – a song I tend to skip on record. Live, however, it takes on a new dimension and what seems like a painfully slow build up when you’re listening on an iPod turns into rising tension in a live setting before a frankly electric ending. With a back catalogue the size of theirs, it’s inevitable that not everyone will be pleased. Although I left in awe (as always) at the show they’d just put on, I couldn’t help but be a bit gutted at the exception of Devil and, in particular Traffic which is – to me – the best song they’ve ever done. You can’t please them all though, and I guess I shouldn’t complain too much; I don’t fancy being the subject of Mr Writer part II on their next record!